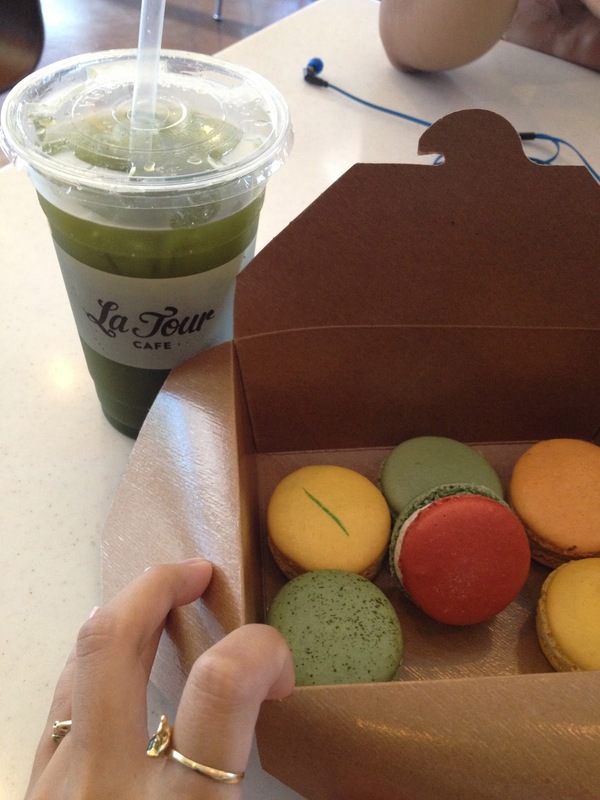 The Fashionably-Forward Foodie: La Tour Seasonal Macaron! Every time I walk into La Tour Cafe, I'm always excited to see what new Macaron flavors they have that day. This time, they had their usual Green Tea, Yuzu, Lemon, and Pistachio, but also a two-colored Vanilla and a Pumpkin Spice. La Tour has been creating a number of different macarons for the Holidays, like Caramel Apple (which I have yet to try!) and also this red and green-colored vanilla macaron! Puts me in such a happy, joyful holiday spirit! 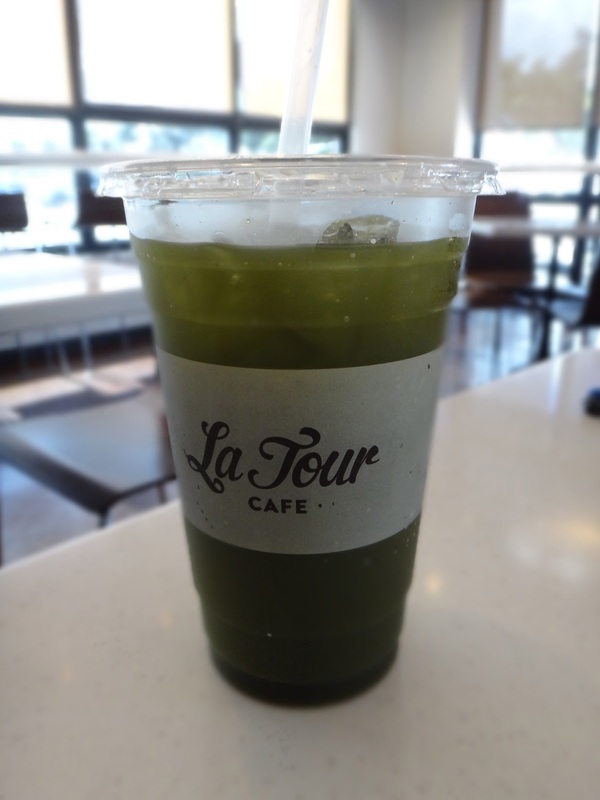 I also got to try La Tour's new Mint Water! Very interesting. If you like mint, mint and more mint, you will like this. I enjoy mint flavor, but this was just too much for me. It is very fresh, though! On Special, they had a new Banh Mi. Instead of their Meatballs in their Banh Mi, they substituted it with Char Siu. A surprisingly nice flavor! I really enjoyed the different twist. If you see it on their Specials menu for the day, do try! Pumpkin Spice was definitely one of my favorites!